"This is a paradigm shift and it means people with TB in these cities and islands will have access to the high standard of TB care that has been available for decades in Western Europe and North America." - Dr. Lucica Ditiu, Executive Director of the Stop TB Partnership. The Zero TB Initiative (ZTBI) is working across the world to create islands of elimination with strong local partners in high-burden areas. We are committed to ending TB by utilizing a proven, comprehensive, community-based care platform. The Zero TB Initiative has 'pushed beyond cynicism to forge a new consensus' towards comprehensive strategies to eliminate tuberculosis. "Now I have the tools, the network, and the energy to really make a difference in bringing down the TB burden in our city. We would like to be counted amongst those who came, heard, understood the urgency to save lives." "Cities must make use of comprehensive epidemic control measures to end TB. This is what places like New York used to successfully end its TB epidemic. We have the capabilities, the knowledge and the fortitude to stop this disease." "For a long time, we have ignored tried and tested epidemic control strategies because of a preoccupation with cost. We must ensure that people receive the care that they need regardless of where they live." - Dr. Salmaan Keshavjee, Director, Harvard Medical School Center for Global Health Delivery - Dubai. The Zero TB Initiative includes many efforts, among them the Zero TB Cities Project and individual Zero TB City efforts. In Bangladesh, an ambitious initiative by the Government of Bangladesh has culminated in a coalition that plans to cover all large urban areas to eliminate TB through the comprehensive Search-Treat-Prevent approach. This initiative is supported by the U.S. Agency for International Development (USAID) and by Challenge TB project Bangladesh. With support from a multidisciplinary coalition, Zero TB Cities in Bangladesh plans to combine a campaign for increased public awareness with strengthened screening for TB, with the ultimate goal being comprehensive epidemic control in all major cities. Some prospective partners were previously included in this list in error. An up-to-date partners list is below. Odessa, the third largest city in Ukraine, is assembling a multi-sector coalition to apply a comprehensive approach to address TB. This initiative is supported by the Global Fund, the Stop TB Partnership, and state and city authorities supporting TB services. 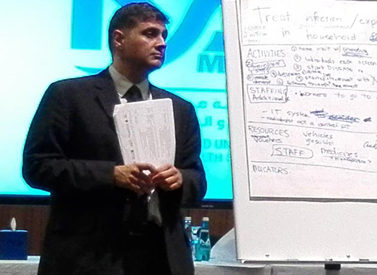 Leaders have identified the need for TB services targeted to populations that would benefit the most from integrated, supportive care, and planning is underway to realize these goals. 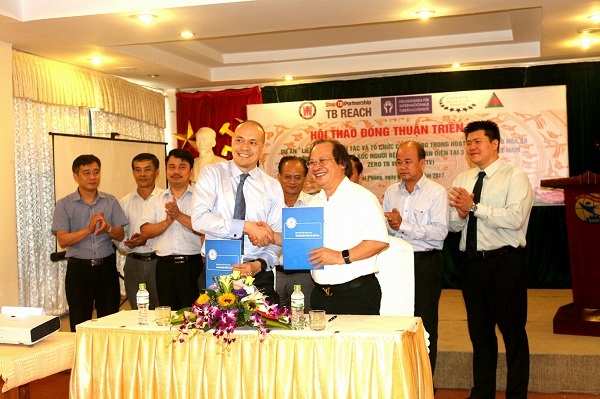 In Vietnam, a comprehensive TB care model is launching in the cities of Ho Chi Minh City, Hai Phong, and Hoi An with the support of the National TB Control Programme. Municipal leaders, international partners, and local implementers including Friends for International TB Relief, the Clinton Health Access Initiative, and the Vietnam Association Against Tuberculosis and Lung Disease are together prioritizing heightened screening for TB, new diagnostic procedures, and targeted TB infection treatment. A city-wide, multi-institutional partnership, led by the Municipal Corporation of Chennai, TB Free Chennai is working to drive down TB rates and preventable deaths by accompanying patients as they navigate the public and private health sectors. Research organizations, care delivery groups and organizations outside the health sector are working together on this ambitious goal. TB Free Karachi is comprised of multiple organizations with a shared commitment to combating TB on an urgent basis. An innovative drive to eliminate TB by drawing on a free, world-class hospital network, flexible new resources and data-driven interventions in this coastal mega-city of 20 million people. In Lima, the ministry of health, local municipal governments, universities and health care organizations are leading an effort to swiftly improve adherence to treatment across the city, and to focus in on several key geographies within the city. In Carabayllo (a municipality in Lima), a public commitment has been made to support patients comprehensively and to prevent and treat all forms of TB according to the highest standard.